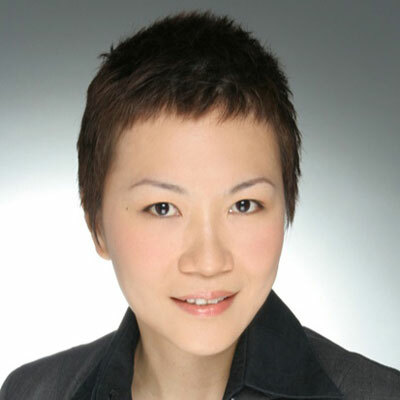 Pauline Tng serves as the head of partners for Asia-Pacific at Splunk. In this role, Pauline is responsible for leading the APAC Partners organization focusing on building revenue-generating, partner-led business through all partner types across APAC. Pauline comes to Splunk with a strong background in channel strategy, partner and distribution management, as well as channel operations. Prior to joining Splunk, Pauline spent four years with Juniper Networks leading go-to-market strategies for the Enterprise Sales motion, leveraging distribution, partners, and inside sales teams in growing the Commercial segment. Her experience spans senior leadership roles at Motorola Solutions, Lenovo and Hewlett-Packard in key positions including Government & Public Sector sales, Distribution, Partner Alliances and Solutions business and a broad spectrum of channel partner sales and strategy positions both in the field and at regional levels. Since I joined Splunk in May 2018, I've advocated for three top priorities. First, I drove our Partner Sourced business which is a clear indication of partners lifting the business for Splunk. As a pre-condition for driving partner sourced business, we laid out clear 'Rules of Engagement' within the channels, and ensured partners have trust in the Deal Registration system. Since we provided clarity, Splunk saw a three-fold increase in Partner sourced business bookings over FY17. The second priority was building a velocity-based business, minimizing friction in the market for selling Splunk solutions. In this arena, we worked closely with our Distribution partners in developing bundles around key use cases with our Technology Alliances, with a meet-in-the-channel mode of selling. The final priority surrounded leveraging different routes to market and partnerships helping Splunk reach untapped markets. Examples of these are cloud partnerships with AWS, driving the MSP and OEM business models - These examples augmented Splunk current partner go-to-market motion and provided alternative ways for our customers who demand to leverage Splunk technology differently. Splunk APAC channel priorities are not expected to change drastically over previous years. At the same time, we are expecting aggressive growth rates within APAC. As such, partners who adopt similar growth mindsets and are prepared to double down on their investment with Splunk will be well positioned to ride the growth wave with us. In particular, we have accelerated MDF investment plans for new customers and prescribed new logo acquisitions through our partners. This helps Splunk land new business which will eventually give way to deeper adoption and expansion opportunities. Ms Kwa Geok Choo, the wife of the first Prime Minister of Singapore Mr. Lee Kuan Yew. She was a professional lawyer, advocate for Women's Rights in Singapore, and mother to three very successful children. As a mental equal to and brighter student than Mr Lee, she chose to avoid the spotlight, supporting Mr Lee from the sidelines. While the latter dedicated his life to Singapore, she dedicated her life to her family. It was an honorable decision; it is difficult to refuse wealth and fame, but she did. Without her sacrifices, Singapore might not be what it is today. Be prepared to give back to society, help the weaker advance, and never be afraid to share your success formula. It is good fortune to be able to give, without having to ask for return. Splunk recently drove a series of activities with employees to a bid, reducing bias in the organization. Bias is naturally occurring and is a function of our past experience, our educational background, and simply put, the way we were brought up in our respective cultures. I believe bias puts a limit on our possible successes and prevents us/ from realizing our full potential. I would like to consciously drive this awareness within different teams and the partners we work with, and be the active voice of advocacy in this charter. It is "Complex Adaptive Leadership: Embracing Paradox and Uncertainty" by Nick Obolensky. The author argues that traditional leadership styles and methodologies are ineffective in a current world where many things don't stay the same for long. This is especially true for high-tech industries operating in hyper growth environments. As such, leadership needs to be pervasive, complementary and dynamic throughout the organization, adopting a polyarchy-oriented stance. With the evolution of different go-to-market and changing customer demands, the book provides useful guide rails to how managers should operate in rapidly changing environment.